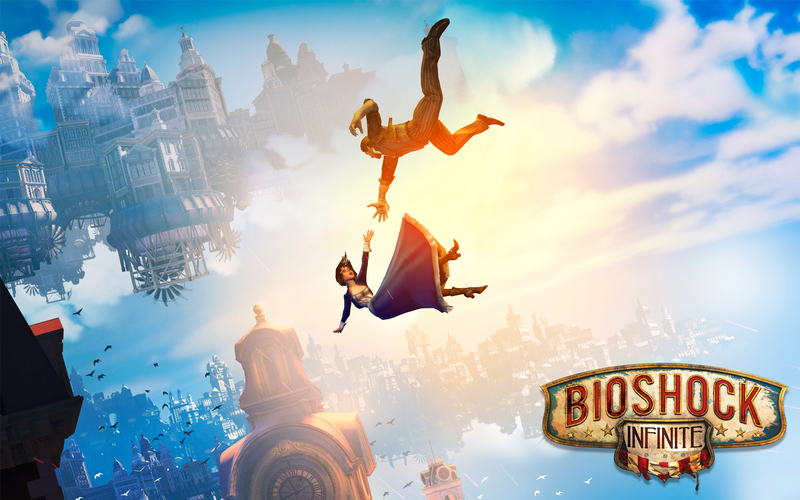 From the dizzying heights to the complex society, BioShock Infinite gives you no shortage of reasons to love it. 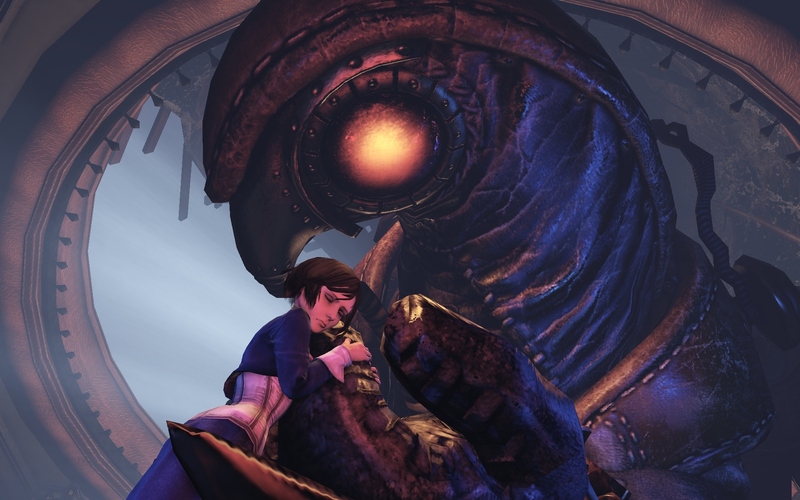 "Save the girl, clear the debt"
The storyline of BioShock is a complex and intriguing one. 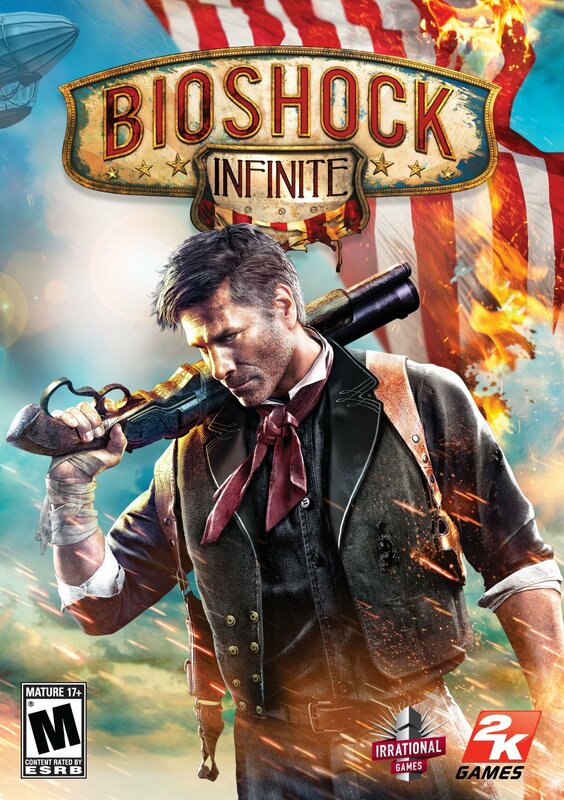 You start out as former Pinkerton agent Booker DeWitt on a simple rescue mission in order to clear his gambling debt. The rescuee: Elizabeth who’s been imprisoned since childhood on the flying city of Columbia. Once you’re launched into the city however, you find that this isn’t going to be the easiest rescue mission. And as you continue to fight your way through the army of automatons and citizens seeking to keep the status quo, you discover that getting Elizabeth out of that tower was the easy part. As the story evolves and you get further into Columbia you’ll realize the broken world you’re walking through and may even get a little scared at the realization of similarities in our own world. With a storyline as deep as this and an ending as mind-blowing as you’ll see, BioShock Infinite is a game you should be playing already no question. 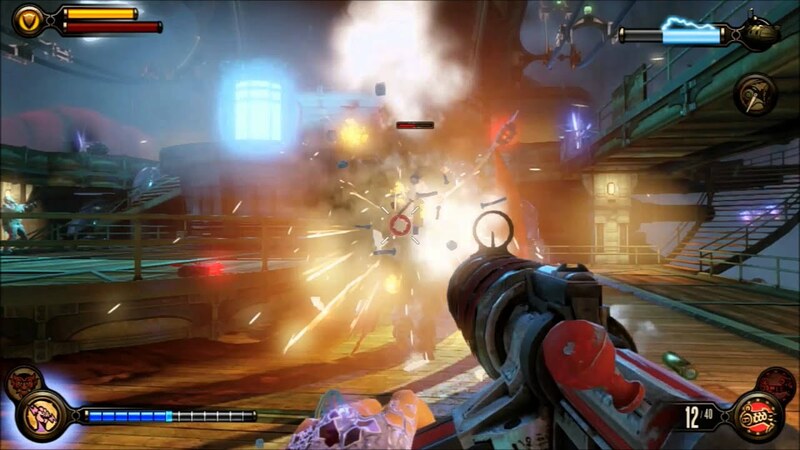 BioShock Infinite is a first person shooter which brings back the ability to combine your basic weapons with a little something extra. By using your Vigors - magical powers - you can weaken your enemies by charging at them at super speeds, or shooting them with bolts of electricity, or even shooting shockwaves at them. And you can combine these powers so you can, for example, set someone on fire and then send a shockwave their way to finish them off. In the midst of some battles you can also use the Skyline Railway system to move so fast through the city that not a single bullet can catch you. What a rush right? Take a look at how visually appealing (and creepy) Columbia can be. Don’t you just love the aesthetic of the early 1900s? With Bioshock you get that vintage vibe and then some. The flying city of Columbia is your battleground now and what a place to be. With new sights at every turn and an impressive amount of ambience, you can’t help but be mesmerized just walking through the city. The graphics in BioShock are remarkable, you really feel as if you’re in the most beautiful city flying impossibly high and trying not to get vertigo. The movement from propaganda to another store front as you’re walking will also give you something to think about and only increase your curiosity about this strange city you’ve been sent to. Even the background noise lets you know something’s not right. Speaking of propaganda, the folks at Irrational Games have done a bang up job making the citizenry of Columbia as intense and thought provoking as they could. With inherently racist caricatures strewn about the city, the cult idolizing Abraham Lincoln’s assassin you may run across (yeah that can happen to you), and the obvious opinion that people without the perfect skin color should be slaves you can see a definite depth to the society. The people of Columbia aren’t just background noise. The juxtaposition of the American flags everywhere and Columbia’s leader Father Comstock’s influence everywhere - a religious zealot and self-proclaimed prophet whose ideals are slightly (very) skewed - is a stark reminder that even something meant to be a utopia in the heavens can become corrupted and broken. 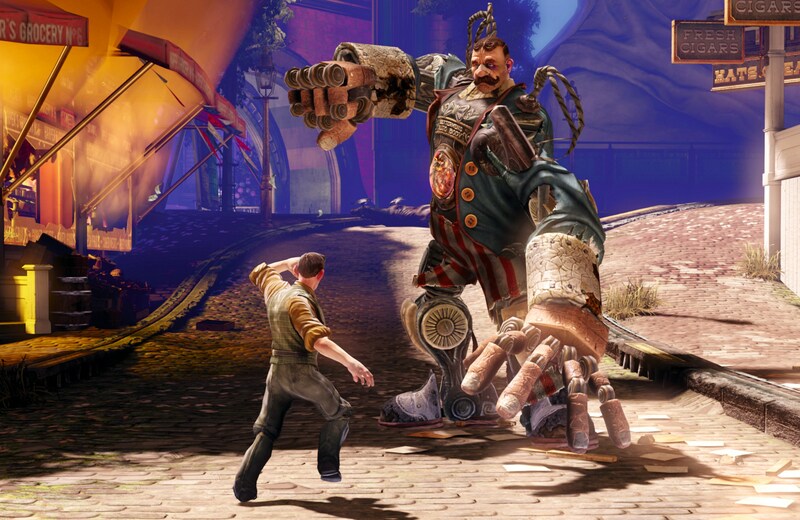 If you like your game settings to have a little something extra, or to have you intrigued on every level, BioShock Infinite is the game for you. Your time with Elizabeth is an adventure from start to finish. Elizabeth is one of the best things about this game. She’s not just some damsel in distress, and she’s not some annoying NPC that’s always getting in the way. This is not your day pal. She helps you out on the battlefield by handing you health packs and even ammo. As you’re in the middle of a firefight and reaching the end of your magazine you can hear Elizabeth call you and turn around to catch the ammo pack she’s throwing you. She can also reach through inter-dimensional tears in the environment and give you cover during a fight or create a diversion. Elizabeth’s superpowers also come in very handy if you’ve died as she can revive you. The abilities Elizabeth possesses are just one of the reasons you can become closer to her. As you get further and further into this crazy adventure you start to feel as if Elizabeth is really there for you and can become a very good friend. Which she does. 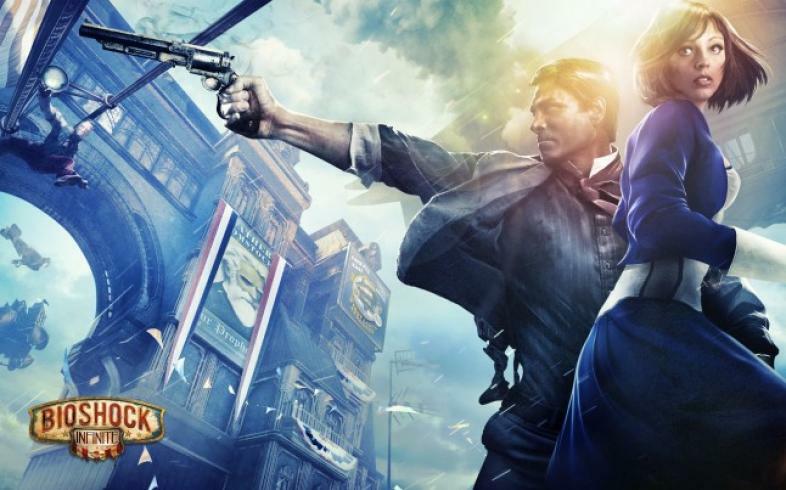 Not only is BioShock Infinite an incredible game to play, it has the best storyline you’ll ever go through and is one of the most eye-opening and intriguing games you’ll ever play. 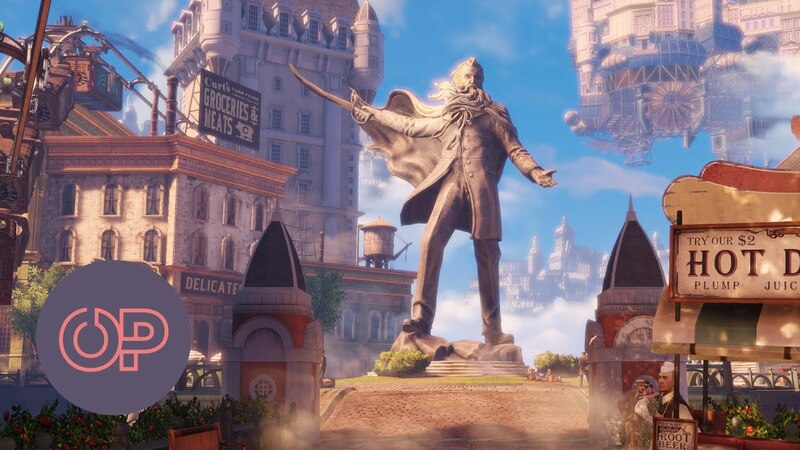 Now I know BioShock Infinite can also be a rather divisive game so you tell me: is the game incredible or is it the absolute worst you’ve ever laid eyes on? Can you see similarities with our world today or is it all fantasy? Can you see why it’s number 2 on our most popular games list or do you think it should be relegated to a lower slot? 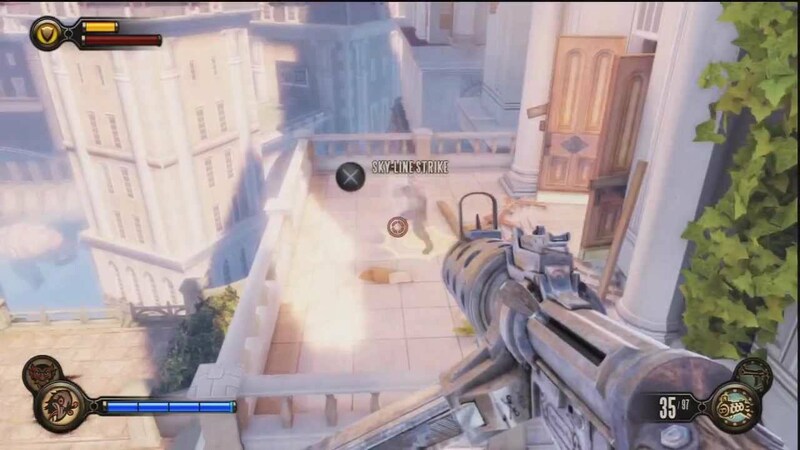 BioShock Infinite takes place in the incredible city of Columbia which floats thousands of feet in the air.